UNITED GENETICS ITALIA, founded in 1994 by Remo Ludergnani and Mario Martinelli, has become a player in the domestic and international market of horticultural seed, in particular tomato both for processing and fresh market. Its proprietory Hybrid varieties are the result of high-quality genetic research, attentive to market needs but in full respect of the environment and its natural equilibrium. 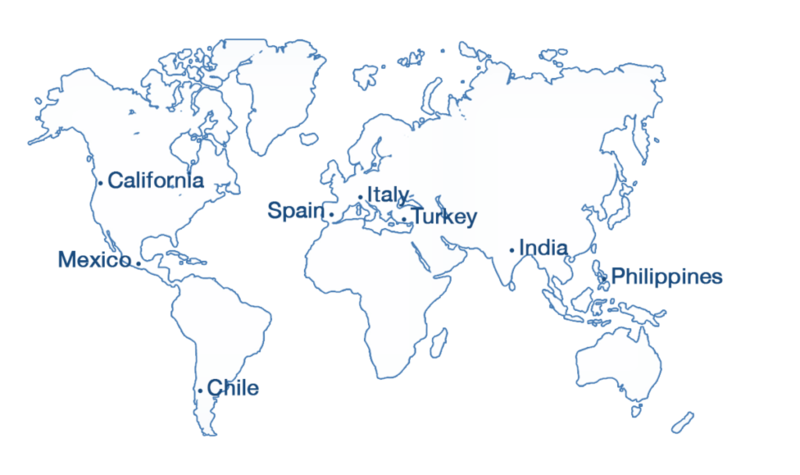 Nowadays United Genetics group based in California has grown considerably with sister companies in Italy,Spain, Turkey, India, the Philippines, Chile and Mexico. After 20 years of activity, on September 20th 2013, in Tokyo, UNITED GENETICS joins the KAGOME CO. Group. LTD. whose mission is expressed by the slogan “True to Nature the Flavor of Kagome“. This business philosophy aims to a sustainable development, where “food” is a means to face and solve social aspects, and perfectly matches with the founding values ​​of UNITED GENETICS . Kagome, founded in Japan in 1899, boasts 35 locations worldwide, from USA to Australia. Its consolidated sales in 2016 amount to $ 2 billion and it is the most important company in Japan of processed tomato, vegetable and fruit products in general. In 2016 a R & D center in Portugal was opened, with a pilot plant capable of simulating each stage of the processing phases. In this location Kagome, with its industrial group HIT (owner of Italagro and FIT factories), has all the fields and processing facilities aimed to carry out valuable analysis on products and relevant choices with immediacy and resource saving. The acquisition of United Genetics by the Japanese group is extremely strategic and capable of creating very important synergies. The aim is a vertically integrated business with a full-cycle value creation, from seed to table. A vertically integrated business that is the only one of its kind in the world. Considerable investments are also planned in Italy, with the strengthening of Parma facilities and the further development of the existing Research Station in Fondi (Latina). Other important investments will be made in India, supporting the production facilities and enhancing the genetic research of the group. tel. +39 0521 642032 / 642059 r.a.